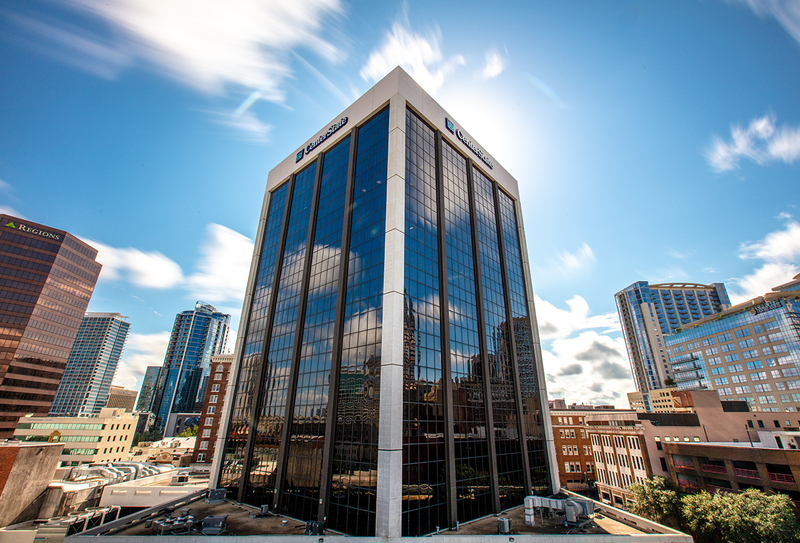 CenterState Bank’s logo is popping up all over downtown Orlando this year: on the top of a 16-story office building, on the video billboard and scoreboard screens at Camping World Stadium, and on the signage in the stadium’s newest premium club space. Meet the newest financial institution in the neighborhood — only it isn’t new at all. With a 25-year history, CenterState has become the largest community bank in the state. It operates 128 locations throughout Florida and Georgia, employs 1,800 people and holds more than $12 billion in assets. 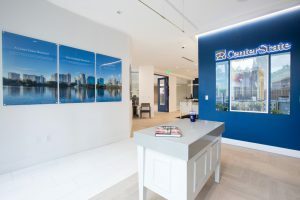 CenterState started in Winter Haven and has continued to grow through acquisitions, including three in the past several years in the Orlando area: First Southern Bank, Sunshine Bank — which was the former Florida Bank of Commerce — and Harbor Community Bank. It has hired additional commercial banking relationship managers to bring the total to 11 serving Orange County. Earlier this year, the blue-and-teal CenterState logo took its place on top of the office building at 20 North Orange Avenue. 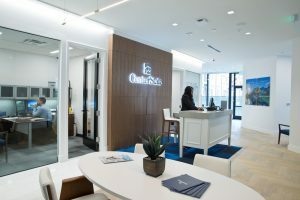 The bank built out the space and opened a modern branch on the ground floor and set up a team of almost 30 commercial relationship managers and credit specialists on the 13th floor. “We wanted to plant our flag downtown to let people know we’re serious about being here,” Barnhardt said. “It shows people we’re in this for the long term. And it gives us a downtown presence with a state-of-the-art office on the first floor for customers. CenterState provides traditional retail, commercial, mortgage, wealth management and U.S. Small Business Administration services. It also has a national footprint through a correspondent banking division that allows smaller financial institutions all over the U.S. to purchase services through CenterState to serve their own customers. The market that includes Orlando is on pace to make over $200 million in loans this year, Barnhardt said. “Our particular market carries about $800 million in assets, which is a pretty good size community bank within in its own right. People should take comfort that they’re getting local decisions, but due to our size as a company we have the wherewithal to handle credits of virtually any size. We have a great group of bankers, too. 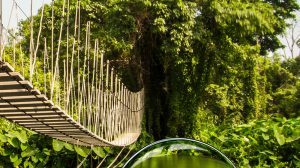 Having the right banker can make all the difference in helping a company grow, said Adam Wonus, whose company is a customer. Wonus and his business partner, Mike Krause, operate Atrium Management Company in Lake Mary, which owns numerous residential rental properties and also provides management services for other property owners. Their banker is Chris Cucci, a senior vice president and commercial relationship manager at CenterState. In July, Forbes magazine named CenterState the top bank in Florida on its first-ever “Best-in-State Banks” listing. Forbes formed the rankings through a national survey of 25,000 customers based on five categories: trust, terms and conditions, branch services, digital services and financial advice. Only 124 banks made the list. Faith and family — “We want you to have a commitment to things outside the bank, including family, that are far more important than what goes on inside the bank,” Barnhardt said. “In our mind, if coming to work is the most important thing in your life, then you need to change some things around. Being a community bank, CenterState is especially proud of the work its employees do in the neighborhoods where its branches are located. In 2017, employees throughout the bank volunteered thousands of hours, participating in 340 events and activities with 100 organizations. Bankers in the Orlando metro area collect bicycles for children in foster care, visit the elderly in assisted living facilities, raise money for scholarships, help feed the homeless, and build houses with Habitat for Humanity. They serve on boards of directors and advisory councils that help local businesses and oversee local arts and sports activities. They are members or leaders of local Rotary Clubs, chambers of commerce and places of worship, as well as associations for homebuilders, Realtors and CEOs. But CenterState wanted to take its presence in the Orlando area to another level and become involved in something that would allow the bank and the community to get to know each other better. 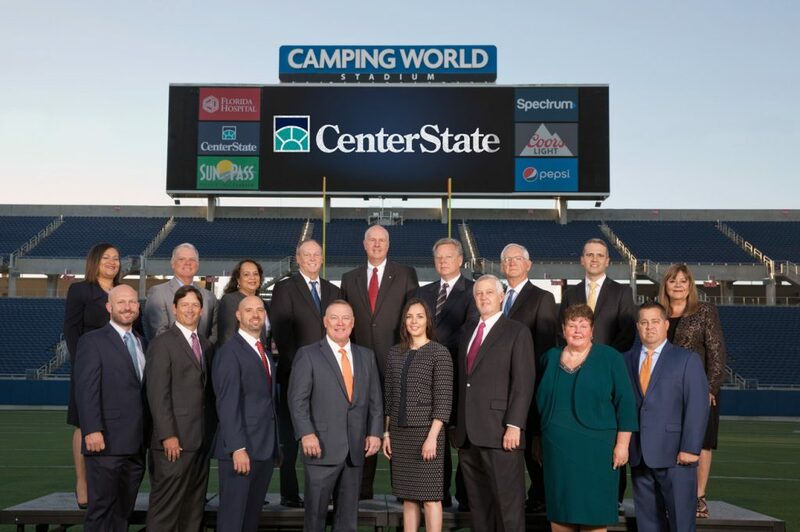 The idea came from Phil Zeman, one of CenterState’s Orlando commercial relationship managers, who introduced Barnhardt to Steve Hogan, the CEO of Florida Citrus Sports, which operates Camping World Stadium. Through Florida Citrus Sports, the bank got involved with LIFT Orlando, a nonprofit that has mobilized area leaders and local residents to revitalize the neighborhoods surrounding the stadium, collectively known today as the Neighborhoods of West Lakes. “The more we found out about it, the more we realized it’s a natural for us,” Barnhardt said. “We try to spread our charitable efforts among several segments, whether it be education, healthcare or affordable housing, and LIFT does all of those things in one project. In 2017, CenterState was ranked as the 21st top-performing bank in its asset class by S&P Global Market Intelligence. 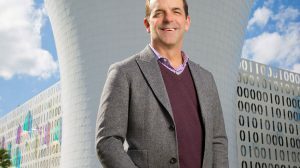 The bank is continuing with an aggressive growth strategy and has brought on new board members in the past year who include Jody Dreyer, a retired senior executive at The Walt Disney Company, and David Salyers, former head of brand activation for Chick-fil-A.